A Home Based Business Centered on ProArgi-9 Plus! This home based business is designed for those in Alaska, Hawaii, and the countries of Australia, Austria, Germany, Hong Kong, Indonesia, Ireland, Japan, Korea, Malaysia, Mexico, Netherlands, Philippines, Singapore, Taiwan, Thailand, and the United Kingdom, as well as those in the continental United States who would prefer this method as an option to promote ProArgi-9 Plus. This program centers on developing your own home based business in the area of health and wellness. This opportunity will use a business model called network marketing but with a twist. I am not interested in recruiting you as a potential business associate unless this is right for you! STEP 1 – Do You See a Need and a Market for ProArgi-9 Plus? STEP 2 – Do You Want to Build a Successful Home Based Business? STEP 3 – Do You Have an Effective Website? If, after each step, you say “Yes, I see the potential in this home based business” then proceed to the next step. If you say “No, this isn’t for me”, then there is no need to continue. Let’s get started. Here are the three steps you need to take to decide if this home based business is right for you. It all starts here. 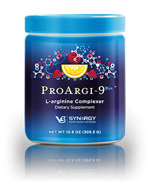 I represent a product called ProArgi-9 Plus from Synergy WorldWide because I believe it’s a revolutionary L-arginine product that offers great taste, far-reaching benefits, and powerful support for the cardiovascular system as well as high blood pressure and sexual health concerns. Please click on the picture for more information about ProArgi-9 Plus. Alzheimer’s disease. This disease is now the number one fear of the Baby Boomer population and its impact continues to increase. African Americans are at a higher risk for this disease than any other population group. Diabetes. Type 2 diabetes has grown to epidemic proportions. People with diabetes have a higher risk for stroke, heart disease and circulatory issues. The African American community has a two-fold higher rate for diabetes than the Caucasian community. Most diabetes-related deaths are due to cardiovascular disease. Erectile Dysfunction. Erectile dysfunction affects 50% of the male population over age 40 and is even greater in the African American community. Heart Disease. Heart disease is still the number one killer world wide and accounts for more than 50 percent of all deaths. African American women in the age range of 25-44 have a 2.5 times greater risk of coronary heart disease and African American men have a 1.5 times greater risk than the Caucasian community. High Blood Pressure. The number one risk factor for stroke is high blood pressure, and 1 out of every 3 Americans suffers from high blood pressure. Sickle Cell Anemia. It is estimated that one out of 12 African Americans has sickle cell trait and one out of every 400 births has sickle cell anemia. Stroke. Stroke is the number one cause of disability in America. For the African American community they are twice as likely to die from a stroke as Caucasians. The rate of having their first stroke is almost doubled that of Caucasians. One half of all African American women will die from either a stroke or heart disease. For those with sickle cell anemia, 11% will have experienced a stroke by the age of 20. There is a tremendous need for an effective product that can help people address these health challenges. I decided to learn how to market ProArgi-9 Plus because I believe this product can be part of the solution! If you believe that ProArgi-9 Plus has the potential to help address these health challenges, then please proceed to Step 2. If not, then this home based business opportunity is not for you and there is no need to proceed but I want to thank you for your time and interest. The obvious answer to that question is “Yes!” The reality is that most people don’t especially if they use the standard marketing methods offered through network marketing and multi-level marketing companies. I say this because I’ve tried their methods of 3-way calling, the 3-foot rule, and everyone is a prospect. It was a waste of time because it went against my business training and my personality. My business training allowed me to build a large and successful health club operation. When I sold my interest it was the largest health club operation in the western suburbs of Chicago. Why? Because I designed programs that would meet the needs of my clients! When these clients got results, they then told their friends and if their friends were interested they came to see me. You see, I dealt with interested people and I helped them achieve results! When I decided to build a home based business around health and wellness, I decided to utilize the internet. It is a completely different animal than a brick-and-mortar building. I fumbled around and spent money on programs and people who I thought could help me. Unfortunately, I wasted a lot of valuable time and money until I came across Ann Sieg. Ann showed me an alternative way to build a successful home base business! Ann understood my dilemma because she had already lived it. Ann also has a program that speaks to my need in how to build a successful internet business. Her program showed me how to use network marketing as just one of the tools in creating multiple streams of income. The 7 Great Lies of Network Marketing! Just click on the above title to acquire this free e-book. I highly recommend downloading its 35 pages and reading them. It will open your eyes to a lot of the lies people will tell you to get you to join their opportunity. How to promote your websites using free and paid methods! How to write killer ads that get results! Pre-written email ads, banner ads, ezine ads, graphics and more to help you get going as fast as possible! How to get the most bang for your buck – the most cost effective companies to work with! The best internet marketing tools and resources for driving tons of high quality traffic to your website! How to follow up with your leads to transition them into your opportunity! Ann’s information not only met my need but she also offers great customer service. And, she continues to teach me how to effectively market myself on the internet. There are rare people who give you extreme value for your money and Ann Sieg is one of those rare individuals. If you’re still interested in this home based business opportunity, then let’s proceed to the last and final question. When I first chose to build a home based business around my passion for health and wellness I decided that I would need an internet website. I hadn’t yet met Ann Sieg but I did meet a fellow out of New York named Mike Litman. I was looking at several website providers. Mike Litman’s company promised me an effective website. They convinced me that if I spent $3,000 with them I would get a website that would generate traffic, sales, and return my investment in a short period of time. I got a website but it generated little traffic and even smaller sales. When I asked why this website had not produced better results and at least returned my investment, the answer I got was that I needed to go to the next level which was another $3,000 investment. I remember thinking “Fool me once shame on you, fool me twice shame on me!” So I parted company with Mike Litman’s group. He did not effectively meet my need and his customer service was not very cost effective. Now to be fair to Mike, maybe I was an aberration to his success in helping others. You don’t need to use Site Build It to have an effective website but you can certainly profit from his ideas and tools. In one year’s time, with Ken’s materials and programs, I’ve seen the Aging No More website become ranked on Google with 6 keywords now in the top 30 and several in the top 10. If you have an effective website, want a more effective website, or just want to build an effective website for your home based business, than please contact me. Maybe I can help you. If you answered “Yes, I see the potential in this!” to all three steps, then please contact me directly so that we can determine if this home based business is right for you and what your next step should be. If you’re not sure but have some additional questions, then please feel free to contact me. Part of customer service is taking the time to understand your potential client’s needs. It is also about giving them honest and clear information so that they can make the decision that is best for them. Simply click here to email Dan which has “Home Based Business” in the subject line. I look forward to hearing from you! The ProArgi-9 Plus Affiliate Program! The African American Affiliate Program!